The Black Fronted Terns (BFT) have been arriving for about a month and the traps have all been repositioned and set and are ready to go. Oystercatchers and some BFT's flying up and down the river. bridge on the Rotherham side is willing to have and look after the traps for us which is a big bonus. We will also extend the Mason River traps down onto the Waiau on the Township side and later on we will try and get some traps up stream to the area that the Black Fronted Terns nested last year. Now all we need is the Black billed Gulls. Finally 2 of us got down on the river today and found our Black fronted Tern Chicks. This is one of the groups there is another one down stream from the township. There were at least 50 chicks in the group we saw today the photograph below has at least 30 chicks in it - so well camoflaged they are very hard to see. Just down a little were a bunch of Pied Stilts. No chicks visable but each pair had a chick when I saw them from the Jetboat so I guess the chicks were just keeping out of the Nor'wester that was blowing. This is why we do what we do. Next year we are hoping the river behaves and lets us control some predators for them. Having said that the the birds seem to have done very well without any help. It would be nice to know how many birds actually nested. Next year is definately a much earlier trip in a Jetboat. It's been a busy week in Waiau and I am happy to report that I finally got a trip up the river on a Jet boat and found some of our Black-fronted Terns with around 100 fledged chicks in the middle of the river along with 4 Pied Stilt nests and 2 chicks that were visible. I am thrilled with this find and it only goes to show that the birds will nest as soon as conditions are right. 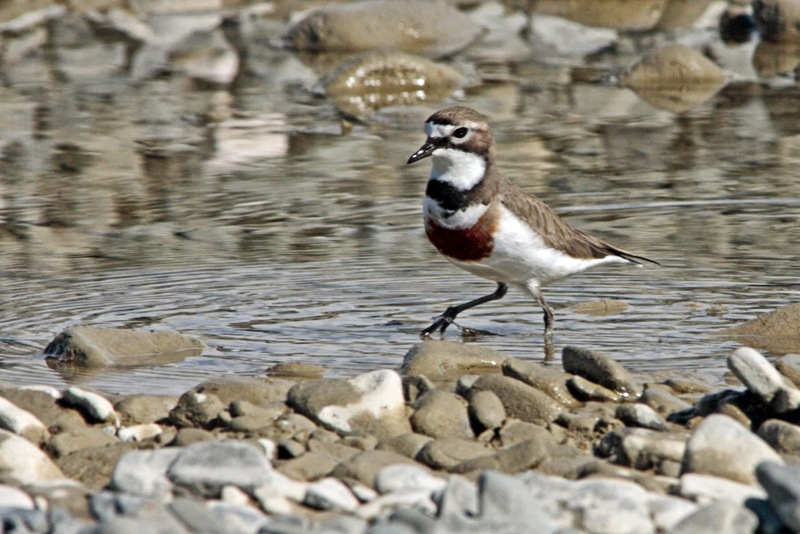 Interestingly the island where they have nested is in the area of the river where the Wrybills have been recorded in the past, so hopefully next year the river conditions will be right to allow us to monitor the river much earlier. Both sides of the Mason river had the traps checked and on the far bank all the traps had occupants. We will continue to monitor the traps right up until winter when we will bring some of them in for maintenance and bait the others and check them at regular intervals. Depressingly we still have idiots driving or riding through the middle of the birds but without an active Ranger in the area we stand little chance of being able to do anything about it. 3 boys on motorbikes completely ignored us when we were checking the traps and we were reluctant to say anything as it is probably the same boys that threw the traps into the river earlier on. Sometimes it is very frustrating. No pictures today as the camera did not survive it's dunking in the river and I was reluctant to take my other one out in the Jet boat but hopefully we might be able to walk in this week and try and get some. Well Christmas and the New Year are past and it was time to check the traps which had been left for almost a month this time. 4 Hedgehogs and a Rat were a good result but slipping in the Mason and getting the camera wet was not! Fairly serious damage I think but won't know for a few days. Anyway we re-baited the traps and will leave it another month before we go out again. We have had trouble with someone throwing the traps into the river but managed to salvage 2 of them but this morning one could not be found - bored kids on School Holidays I think. 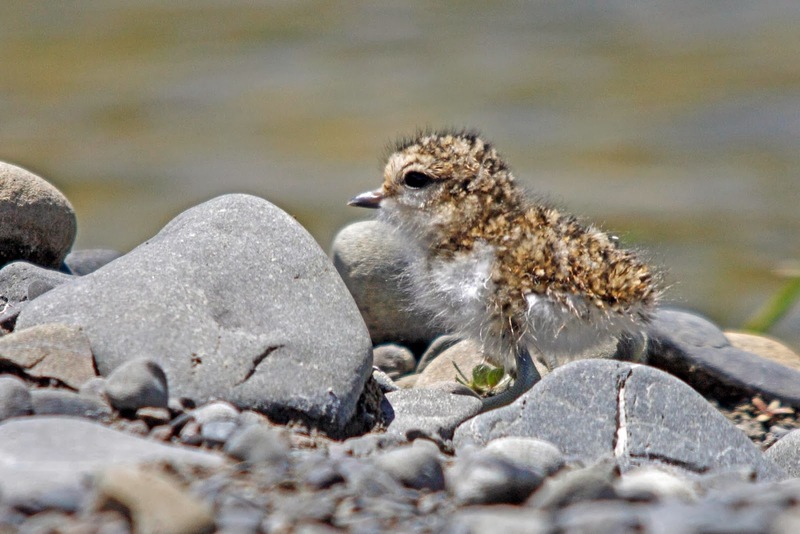 We have Banded Dotterel Chicks but I will be very surprised if any manage to grow up as the Black-backed Gulls and Australasian Harriers are busy patrolling the river bed looking for lunch. 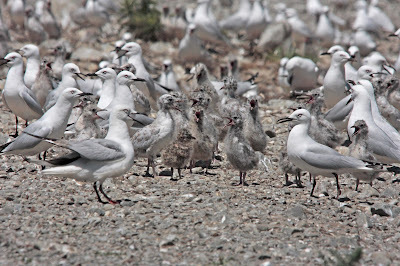 Jane and Nick from BRaid went back up to the Conway a couple of times to check on the Black-billed Gull colony there and at the last visit counted 400 full fledged chicks. This sounds like a good result but there were a lot of dead chicks in all stages of growth and no signs of predation. Nick thinks that the main problems were lack of food and the weather. Hopefully next year the weather settles down and they can come back and nest with us. 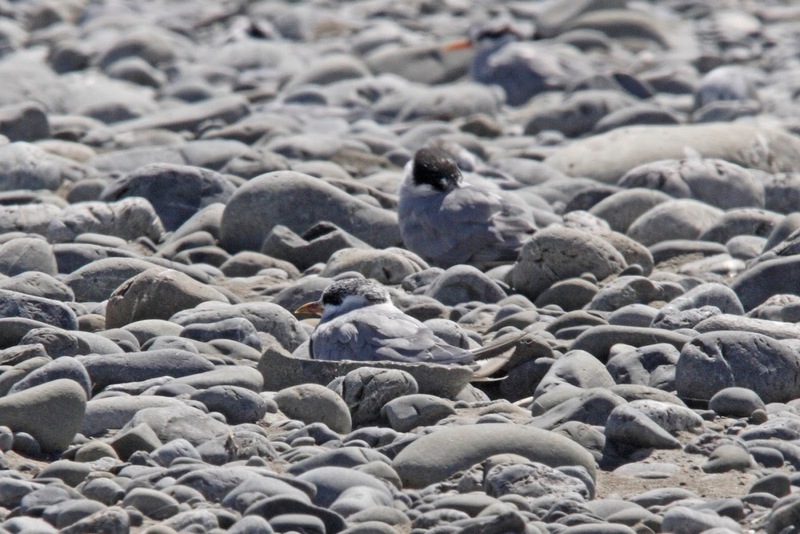 Unfortunately the Jet boat ride up the Waiau hasn't happened (mainly because the weather has been so bad) and it is to late now to see the Wrybills but I am still hoping that I can get someone to take me out to try and find the Black-fronted Terns. A beautiful day in Waiau and finally some time to go down to the river and just sit. Nothing caught in the traps last week when they were checked except another young rabbit. 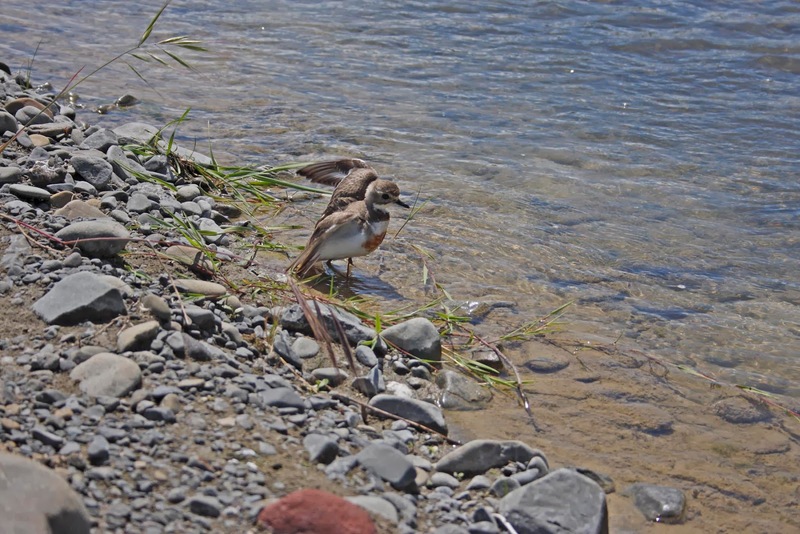 Sitting by the river today made all the trap checking worth while as I spotted a pair of Banded Dotterels with their very young chick. Mum was busy pretending she had a broken wing so I knew something was nearby. I just hope we have caught enough predators to keep it safe while it grows up! Mind you there were some very interested Black backed Gulls and an Australasian Harrier slowly flying over head all of which were seen off by Mum and Dad. The Black fronted Terns were sweeping up and down the river fishing but I still haven't found out where they are nesting. 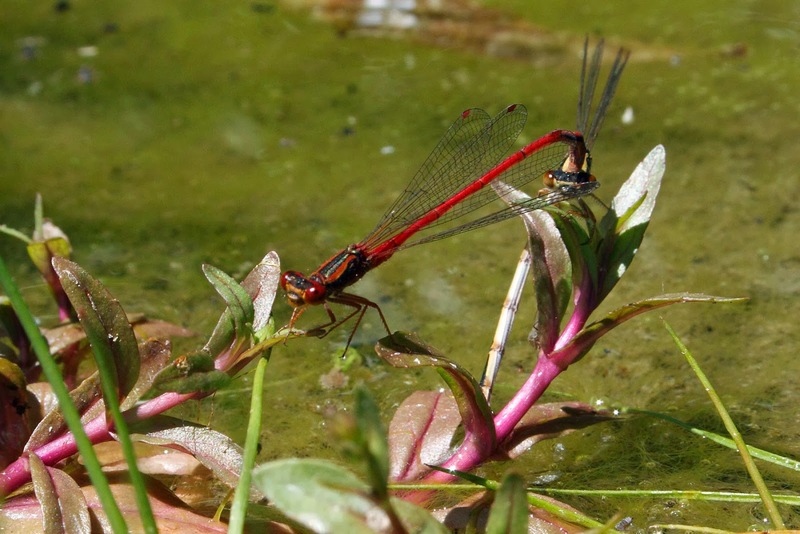 Finally as I was coming home I spotted an area alive with Damselflies. Now I love Damselflies and couldn't resist the opportunity to stop and get a few photos. The other really good thing I noticed was the amount of small fish every where. Despite the early heavy flows the rivers are certainly full of life. On Monday this week, 2 BRaid members and I took a walk down the Conway River to see what success the Black-billed Gull colony had had there this year. It took us 21/2hours walk and 30 river crossings to get there (and the same back!) but it was worth it. 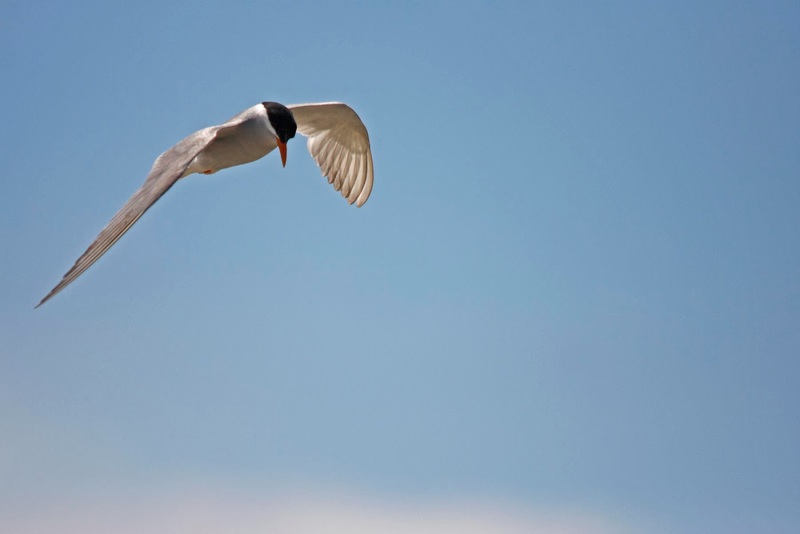 Without any protection and minimal human interference these birds had done really well. It is a big colony probably 2000 plus birds and it appeared that each pair had a least 1 chick making 3000 plus birds. Now that is what I call success. Click on the picture and see just how many birds were there and this was only half the colony. This is what we are trying to achieve on the Waiau, the next time they chose to nest with us. 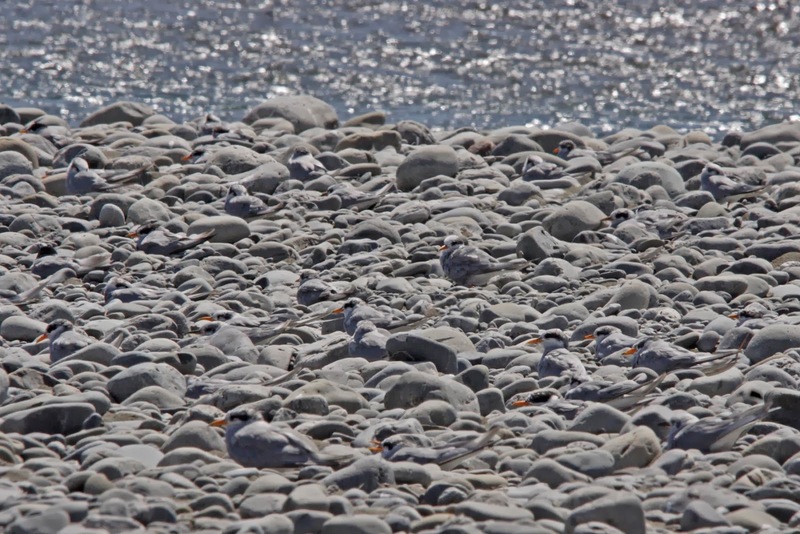 We also saw plenty of Banded Dotterels, Pied Stilts, South Island Oystercatchers as well as some Black winged Gulls (and 4 chicks), Paradise Ducks and Canadian Geese (there were about 10 geese with 5 nests). The walk down was high cliffs surrounded by a lot of native bush and coming back we were accompanied by the calls of the Bell birds. The Manuka was in flower and a lot of native plants were showing there best colours. A truly memorable day - not least the aching body when we finally got back and the next day. Painful but so worth it. Just a quick post to say that one side of the Mason River traps were checked today and we got another Stoat, quite large and badly decomposed but we were pretty sure it was a Stoat not a Ferret. I am waiting to hear if we got anything from the other side of the river as some of the others were checking that side. Will keep you informed. The Waiau River is running high again, so I am still waiting to get up there on a Jet Boat. 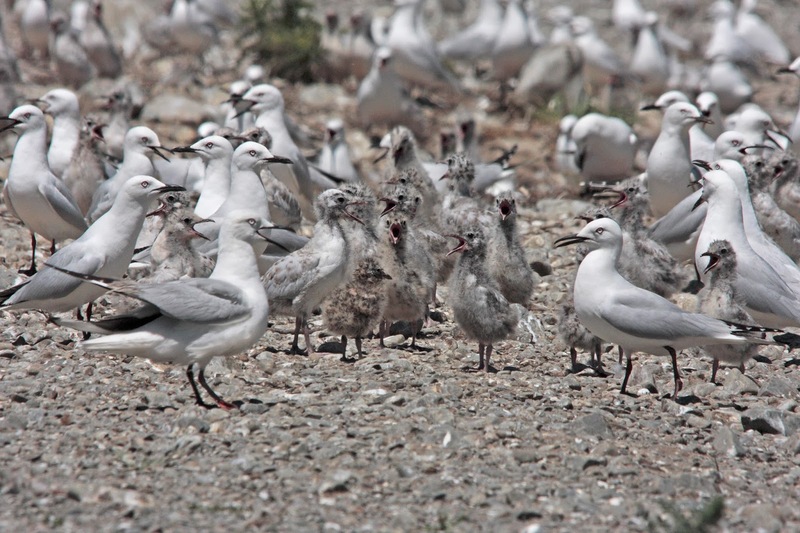 Tomorrow we are off up the Conway to see how the Black-billed Gulls have made out. The Chicks should be in nursery groups by now. Watch this space. The traps on the township side of the Mason river were also checked but nothing caught. The bait was changed out so we now wait and see. I can't believe we have caught everything, so I will go down at the weekend and a try adding some nice smelly fish meal to every other trap ( we are trying this on the other side as well) and see if that makes a difference.